Does his best work in the guts, striving to win the contested ball. 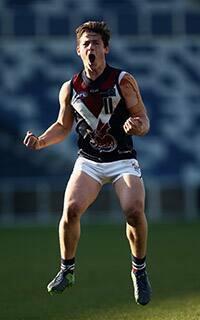 The younger brother of Melbourne midfielder Angus, Hamish Brayshaw is tough and hard. Split his time between the Sandringham Dragons in the TAC Cup as an over-age player and the Sandringham Zebras in the VFL, where he played 12 matches. Developed his outside game at the Zebras.